Indies exclusive heavyweight red vinyl. Includes MP3 Download Code. While this release is good and worth picking up (if you are a fan) I have to slightly disagree with Jshoegaze here. This album doesn't come close to the energy or intensity of Raise or Mezcal Head, most tracks other than the opener are fairly mellow, and lack the hooks i love early Swervedriver for. 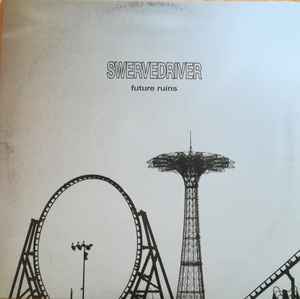 This record is well done & well recorded but Swervedriver has never been background music for me, but that's what most of this is feeling like . 3/5 ..... That being said, definitely see them live, I have a few times and it's a moving and LOUD experience.